The host provides the latest socio-economic and political news, updates and developments from various parts of the world. One of the best News TV Channels in Telugu, HMTV is loved by the Telugu audience for its diverse and unbiased presentation of regional, national and international news. The channel has some of the best and highly dedicated teams for reporting, anchoring etc. HMTV leads the way in news presentation and debates on different political and societal issues in the Andhra and Telangana states. HMTV Telugu Live News brings the latest updates on all Political, Sports, Rural-Urban Development, Parliamentary meetings, debates, elections, etc. 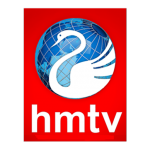 HMTV airs news shows and other programs that are often useful for people of all ages. There are plenty of programs that keep the youth glued to the screens on HMTV. HMTV also contributes a lot to the society by airing shows that can benefit the people. Most of the programs expose the issues in the society, particularly in the rural areas. Raising social awareness amongst the common populace is one of the major goals of the news programs in HMTV. Every program in this channel is now available to watch live through YuppTV.